Fresh from being awarded the ‘Ultimate Confidence Queens’ at the Cosmopolitan Ultimate Women of the Year Awards 2012, the Kardashian sisters speak exclusively to British Cosmopolitan about how they remain confident despite living their lives under the microscope. How do the sisters stay positive when people criticize them? Khloé: “It isn’t easy. My weight fluctuates, like any normal girl, and I have times when I feel insecure. So if I come under scrutiny at one of those times, then I might get really down on myself. But the next day, I might be like, ‘Oh, f**k off, I’m so much better than that.’ I have moments of weakness, but mostly I brush the criticism off… Who cares if I’m not a size zero? I don’t want to be. The Kardashian sisters won the Ultimate Confidence Queens Award at the Cosmopolitan Ultimate Women Awards 2012 with VO5 on 30th October. 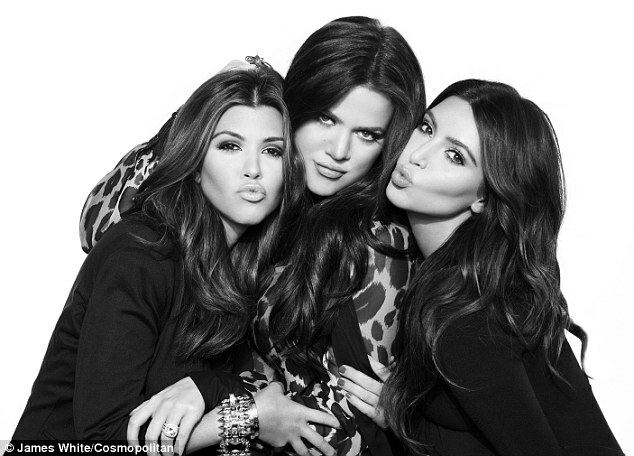 The award has been celebrated by featuring the Kardashians on the cover of the December issue of British Cosmopolitan. The December issue is on sale on 8th November and the Kardashians feature as one of two covers.